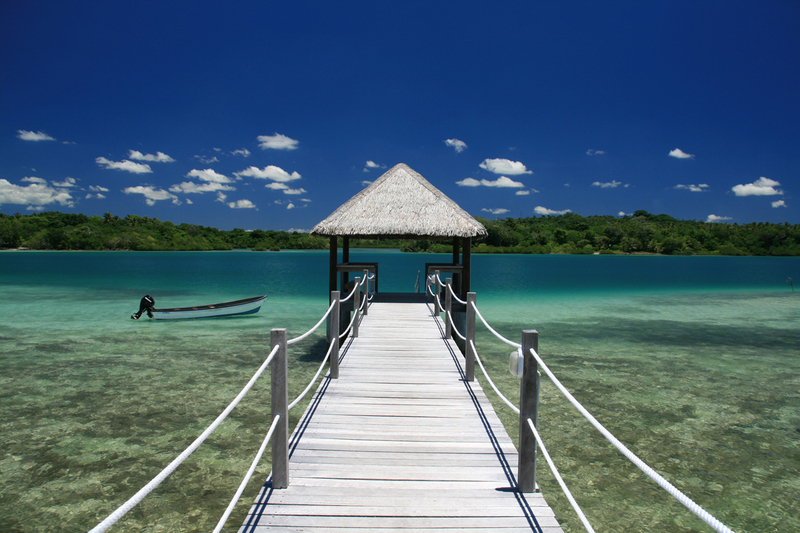 Eratap offers one of the best environments in Vanuatu to wear yourself out with activities or to just stop and completely unwind. The resort is surrounded by coastal forests, reefs, waves, lagoons, islands, mangroves and beaches providing the perfect natural environment in which to play. 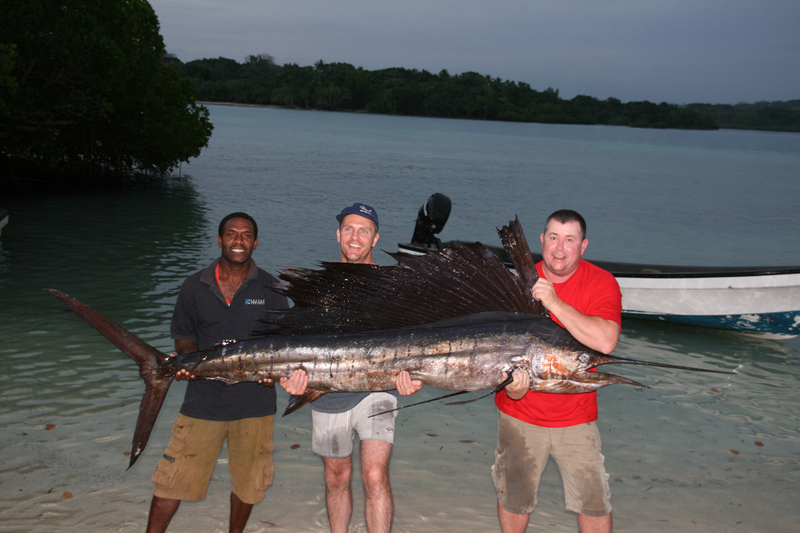 No other resort in Vanuatu can provide immediate access to such a variety of marine activities. 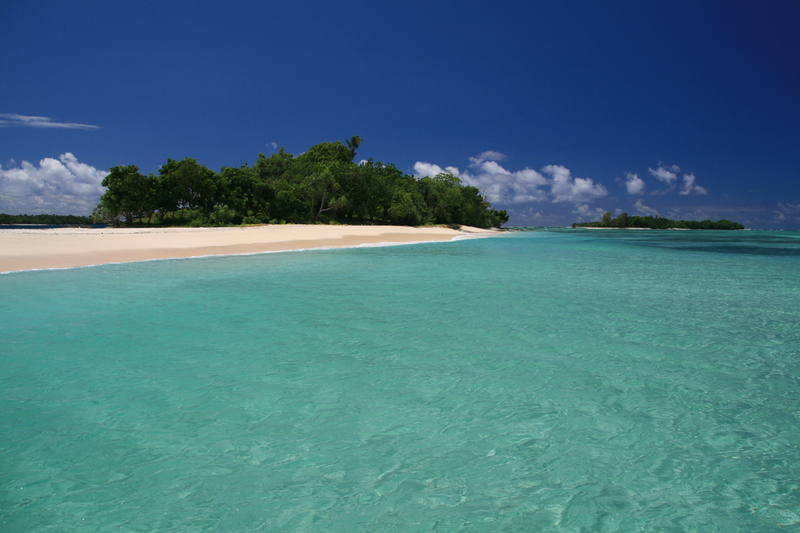 Vanuatu is famous for its easy access to great snorkeling – Eratap is no exception. 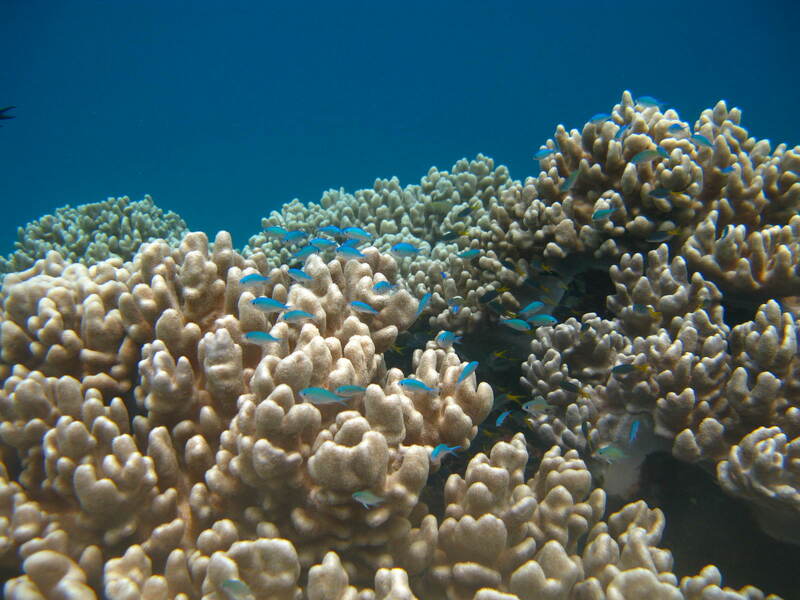 The coral and fish variety around the resort and in the Eratap area is superb. 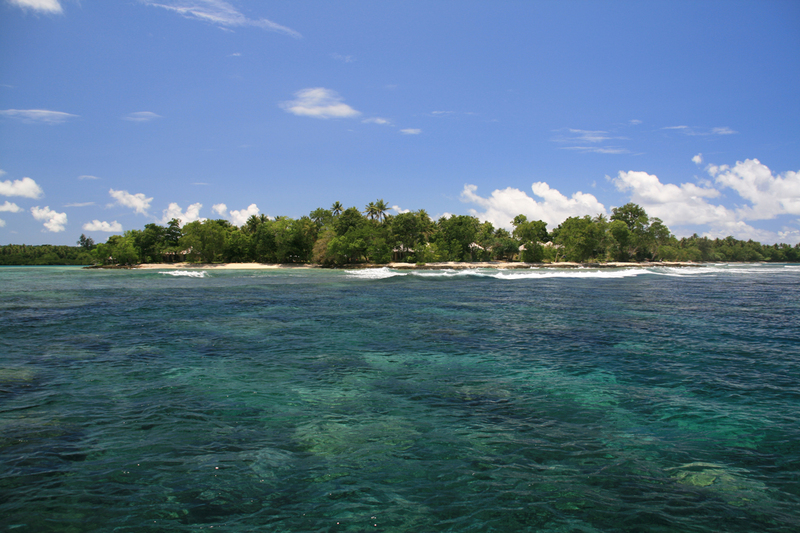 The resorts home reef runs the entire length of the resort providing excellent snorkeling in 2 to 8 metres of water. It is accessed straight off the beach with the closest drop off being just 20 metres from the beach. For those wishing to explore further, our two boats are available free of charge to take you to any of the great snorkeling spots that surround the resort. 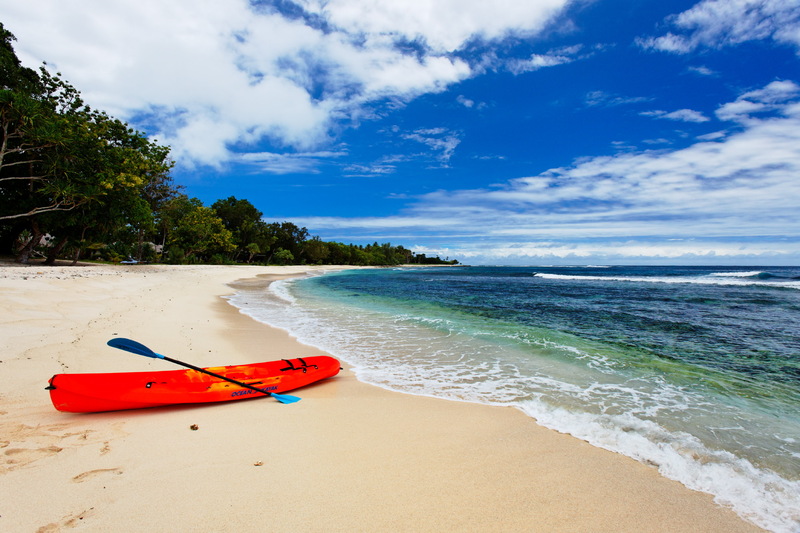 Eratap is ideal for kayaking – its lagoons, mangroves, inner and outer reefs, bomboras and islands provide a terrific arena for all levels to paddle in. 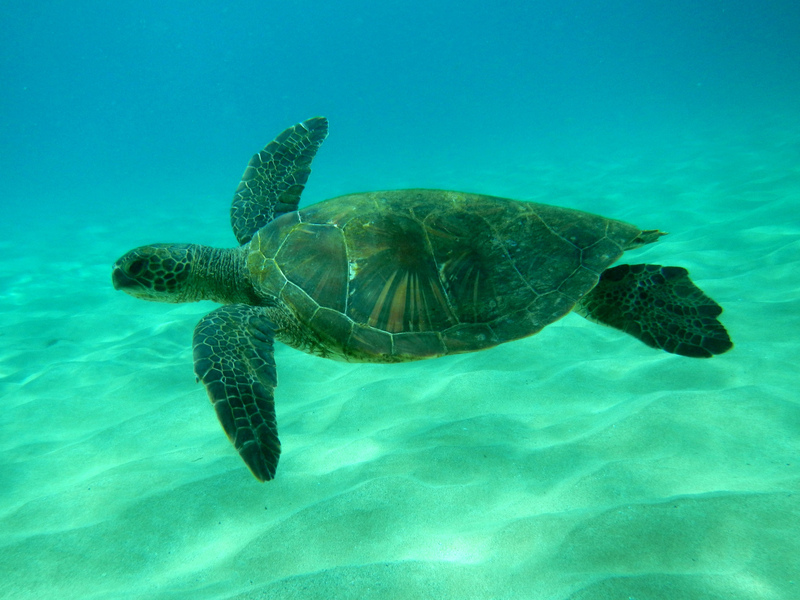 Depending on your wish and experience you can kayak with or without a guide but the inshore lagoons are perfectly safe for even the absolute novice. 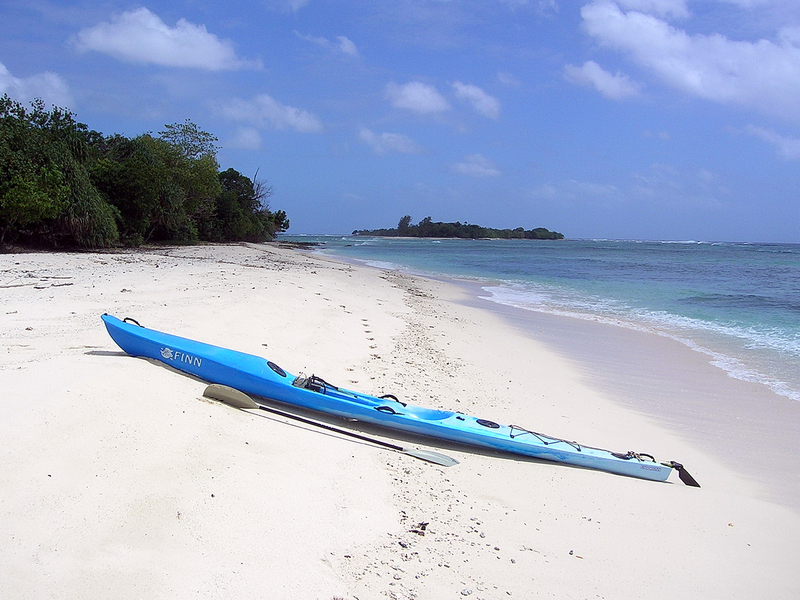 A kayak trip to the offshore islands is a must do. 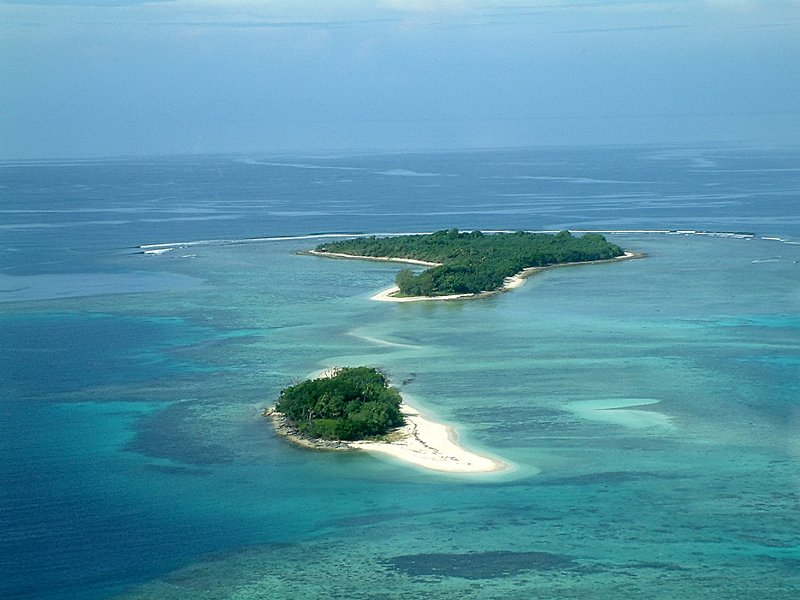 Take a picnic and your snorkeling gear and beach yourself on a deserted island. 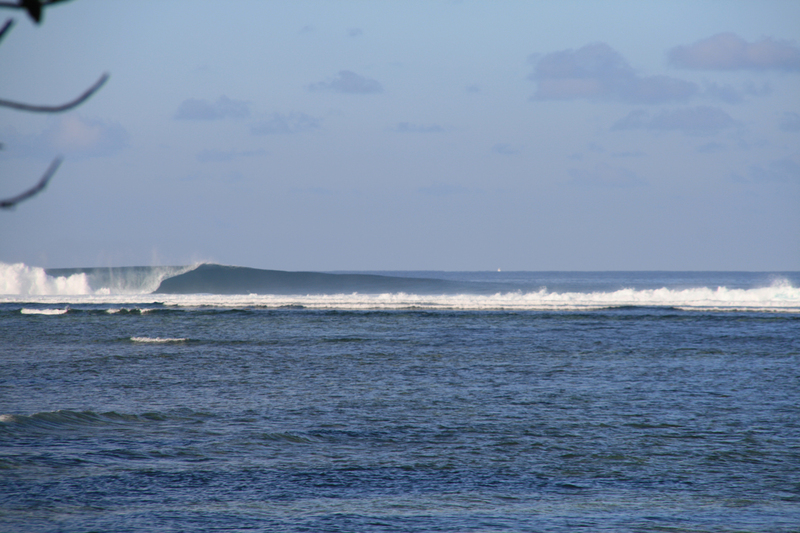 For those of you who surf we have some great waves around the resort. 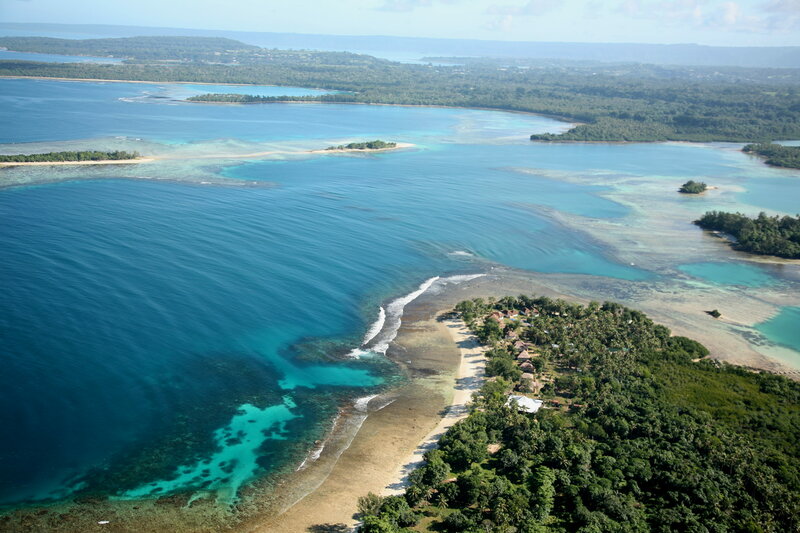 Eratap has the best righthander on Efate island and a lefthander that is equally as good but less well known. It must be said however that Efate Island is not renowned for its consistent clean surf so we wouldn’t recommend coming here purely for a surf holiday but we would definitely recommend coming here for a holiday and bringing your board! The benefit of not being recognised as a world class surfing destination has meant the crowds have stayed away and on most occasions there will be very few if any surfers in the water. Tony the resort owner is a keen surfer and has surfed every wave on offer at Eratap in all conditions. So whatever the day he will point you in the right direction. 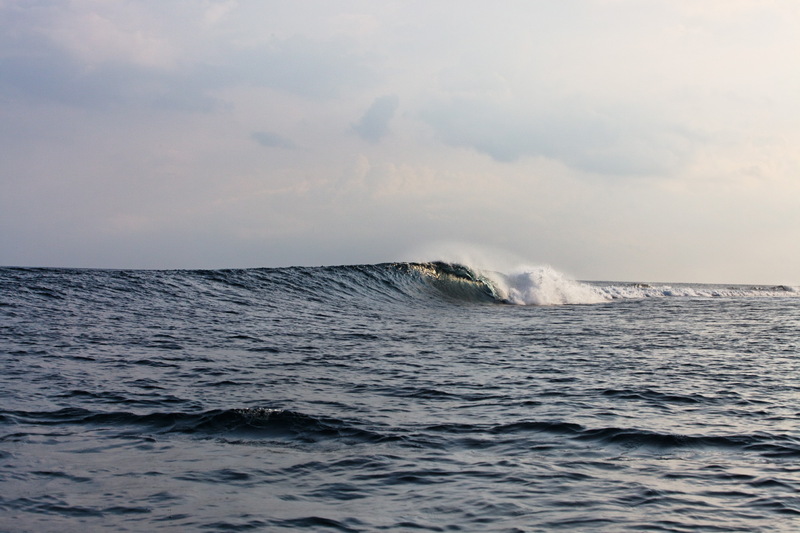 The beauty of surfing at Eratap is the variety of waves on offer and their accessibility. All waves can be checked from the resort so there are no lengthy boat trips ending in disappointment. There are waves to suit short boarders, long boarders, body boarders and even some terrific reef waves for kids. The resort has learn to surf boards of various sizes, mini mals and body boards but does not have short boards so please bring your favourite stick! 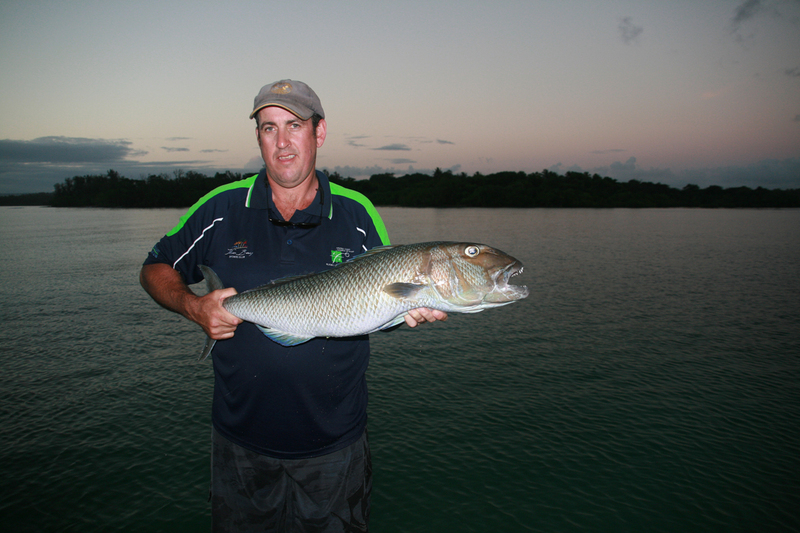 Do it yourself inshore fishingThis option is free to guests. It requires guests to bring their own equipment and to adhere to our catch and release policy. Bait fishing is also not allowed meaning only the spinning or fly fishing methods are to be practised. This helps to ensure that the fish caught are less likely to be those targeted by the local Eratap community who rely on the inshore fish stocks for food. Please note, sometimes the Village will close inshore reefs to all fishing in order to manage the fish stocks better. Please email [email protected] for up to date information. 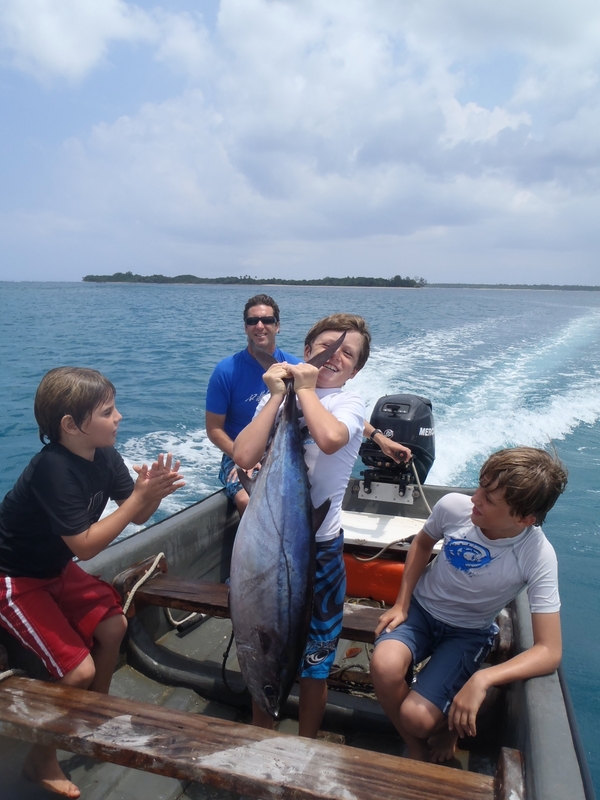 Fishing from our boatsFor a small fee we can take you trolling offshore in one of our boats. We’ll supply the equipment and anything else required. This is a terrific way to experience catching a large fish without forking out thousands of dollars for the privilege. We won’t go miles out to sea as there is no need, most catches of wahoo, tuna and mahi mahi occur just offshore from the resort. Book the boat for an early morning or evening troll, just wander down to the jetty and you’ll be fishing within minutes. 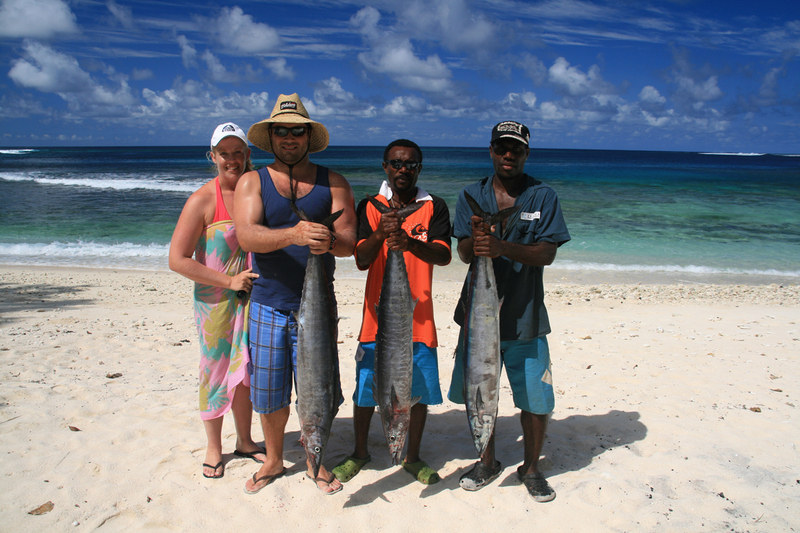 Big Game FishingIf you do want to tackle the big Marlin and giant Wahoo and other pelagic that make Vanuatu famous then we will organize for you to go out on one of the charter boats in Port Vila. There are many reliable and professional services from which to choose. 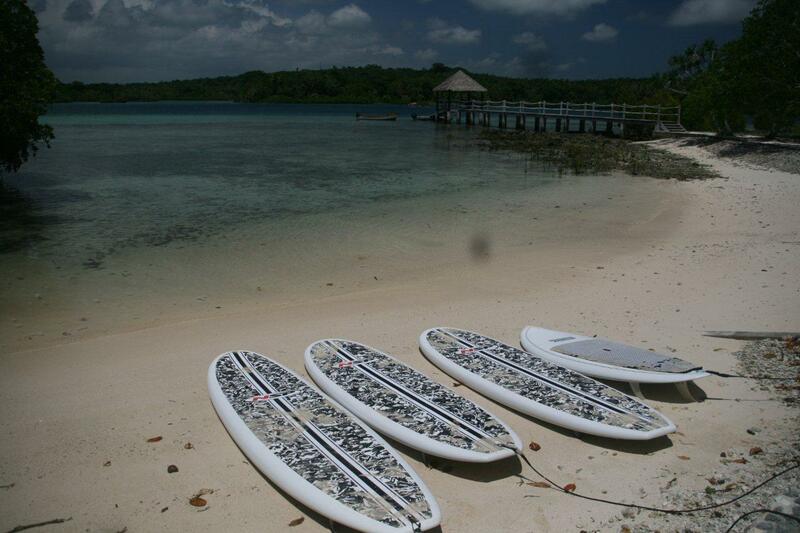 The resort has 4 stand up paddle boards available to guests free of charge. 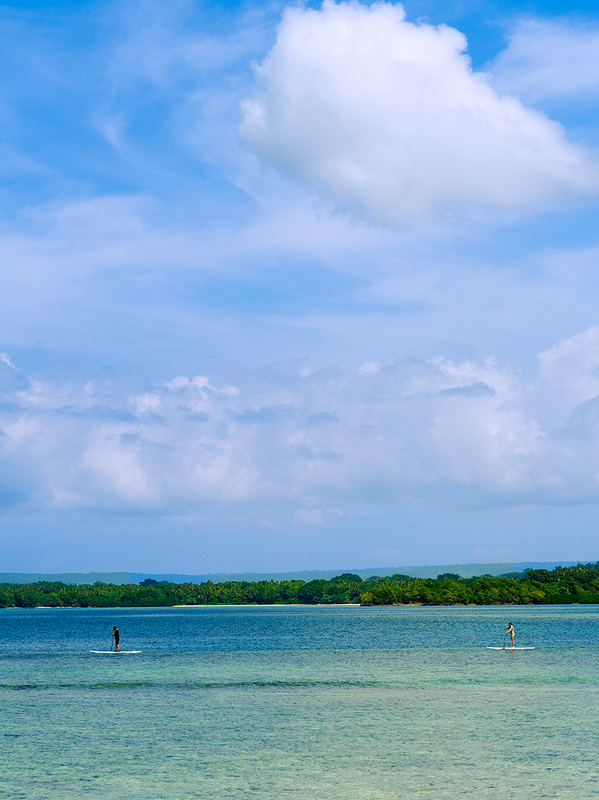 Eratap is an ideal location for stand up paddle boarding for all levels of experience. 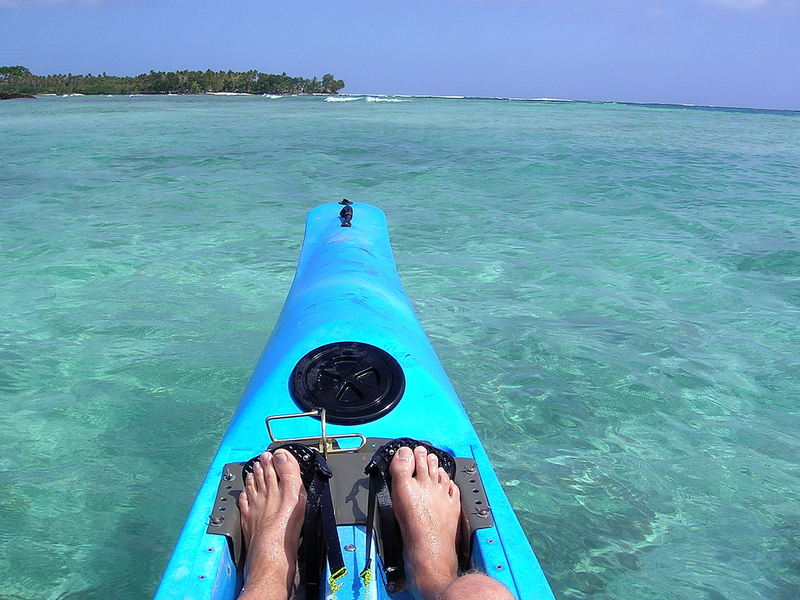 Its lagoons, inner and outer reefs provide the perfect environment to practice this sport. 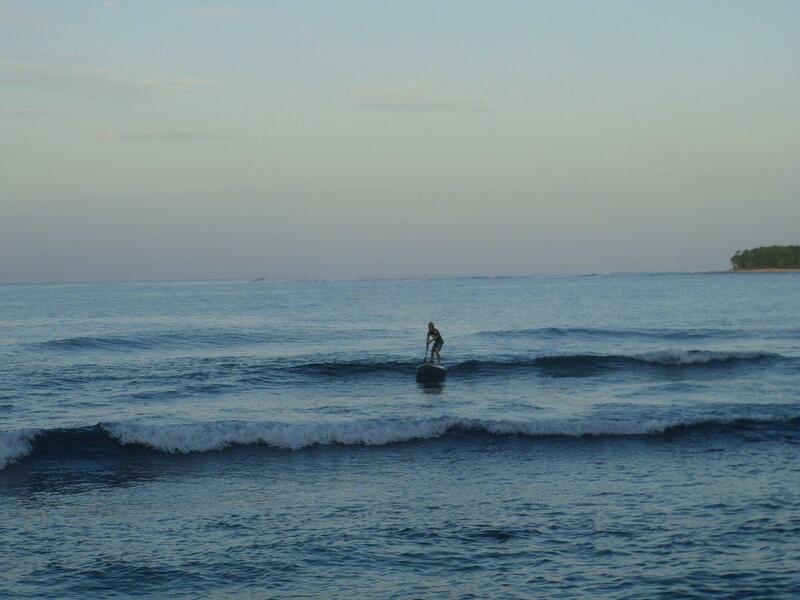 With a paddle board there is always a wave to catch on any given day. 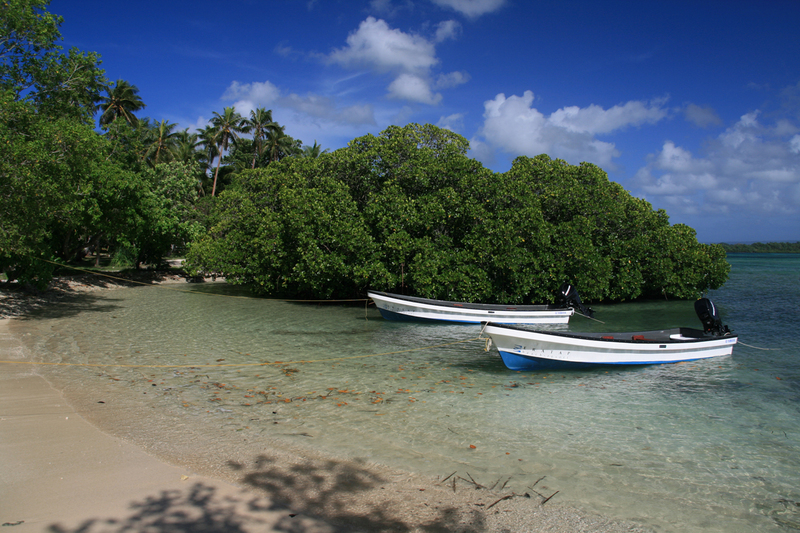 The resort is completely surrounded by lush tropical coastal forests interspersed with small village gardens. There are no dangerous animals, snakes or spiders so walking around the resort and Eratap is a wonderful experience. Meet the local villagers along the way as they tend to their gardens, keep an eye out for the green palm lorikeet or in the evening perhaps the local barn owl. 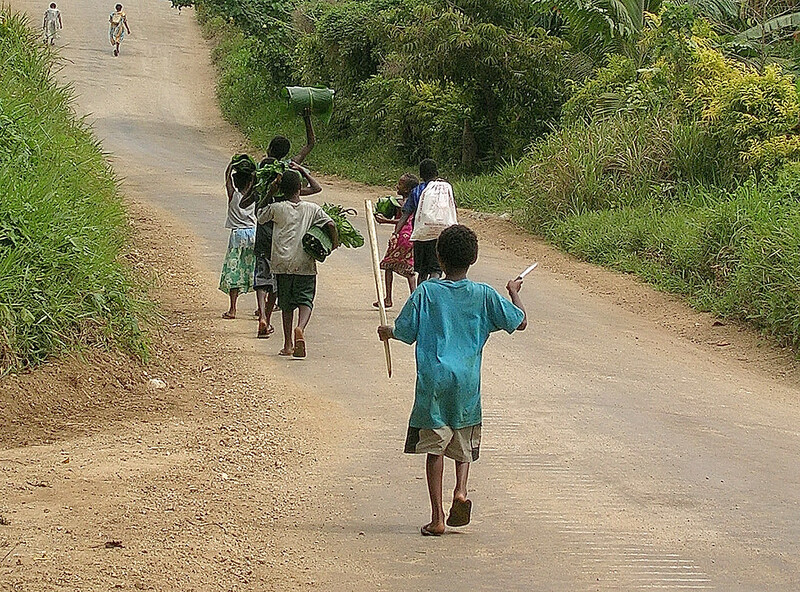 Walk the 3 km to the village or the 6 km to the main road. Walk around the entire southern peninsula of Eratap into Teouma Bay and back to the resort – there are many options. The resort also has bikes for guests to use free of charge. 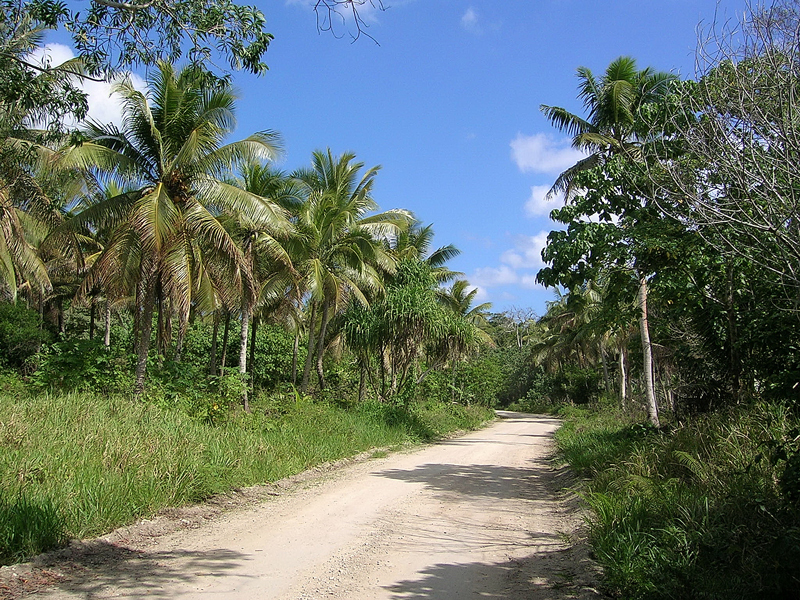 There are many km’s of dirt roads to explore around the resort and all the way back to the main road. A great way to see the region. The resort has two 5 metre fibreglass longboats for guests to use free of charge. Each boat comes with a driver and you determine the destination. 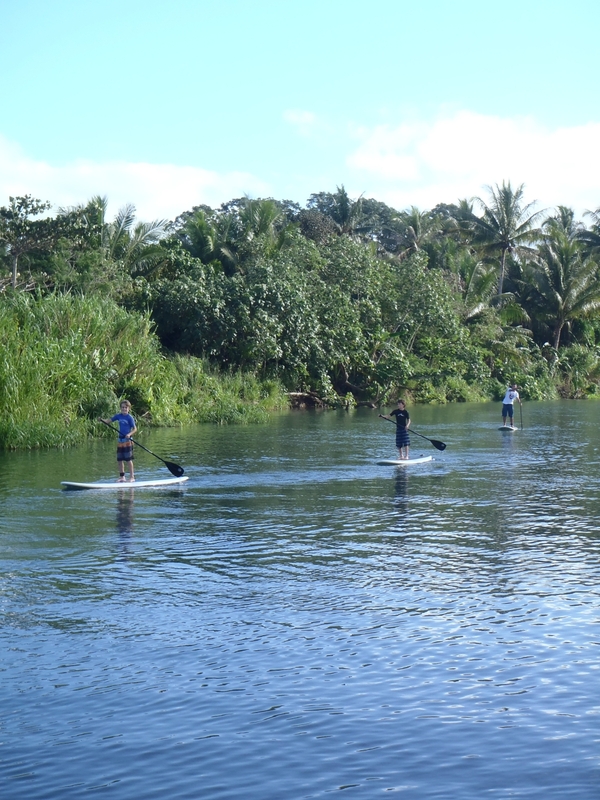 Drop onto one of the uninhabited islands surrounding the resort or cruise around the peaceful lagoon waterways. 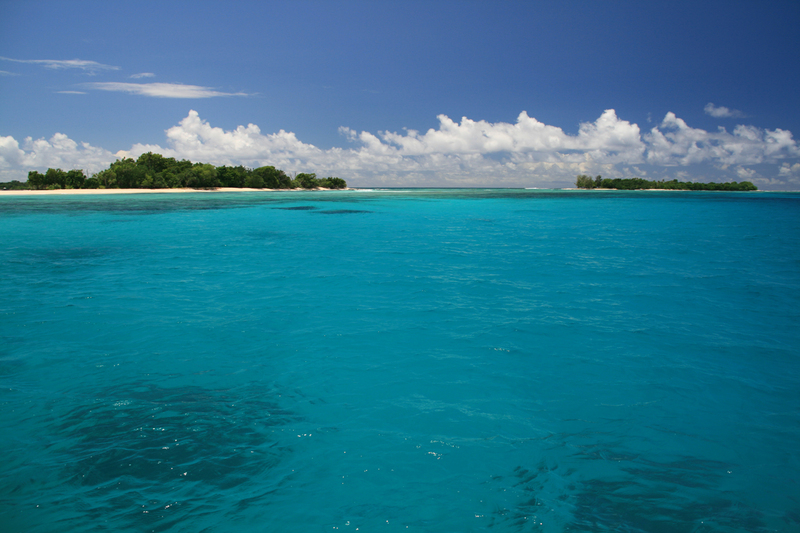 Snorkel an offshore reef or take your board and surf the island reefs. A boat trip is a wonderful experience and the best way to marvel at the beauty of Eratap.